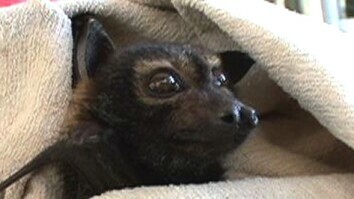 Most bat species use sonar to locate prey in the dark. 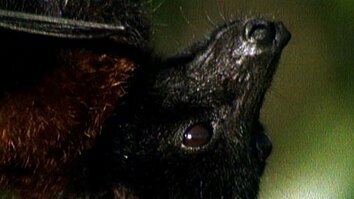 But this superpowered bat can hunt using its huge ears alone, flying in "stealth mode" to get the jump on prey. Most bats use sonar to locate prey in the darkness. But for this bat species, it's all ears. Okay, so it doesn't have a very creative name. But those ears are the real deal. 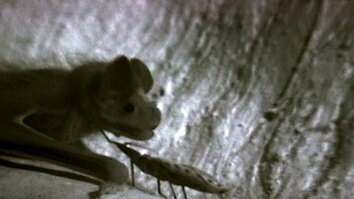 Its hearing is so sensitive it can distinguish the sound of a moth's wings within the noise of a rushing stream. Forget the six-million-dollar man-this is the bionic bat. When the faint noise of a flying insect catches the bat's ear, he shuts his sonar down. His prey has learned to detect the sound waves he makes. So instead, he simply listens with those super-sensitive ears. Like the stealth bomber, he is now virtually invisible to his targets...but equally lethal. The silent bat isn't on the moth's radar. But every superhero has a weakness. Although he can hear the moth through the leaf, his vision is poor. The bat can't actually see his prey. So he flies toward it...on the wrong side. As long as the moth stays still, the bat can't find it. But it can't stay still forever. One flap of the wing and dinner is served.